My BIL recently had a birthday so of course I had to make him a card. 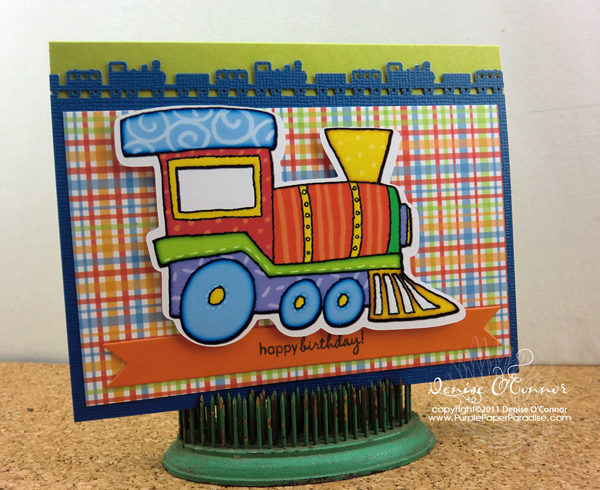 I broke out my stamp sets from Papertrey Ink from their April release. I used Ad Sense, Grunge Me, and Chevron Stripes. I used a color combination of Vintage Cream, Dark Chocolate, Terracotta Tile and Ripe Avocado. I again used some balsa wood for the Ad Sense image and stamped directly on the wood, looks so amazing! This is one of those cases where the picture does not do it justice. Since my BIL is a kid at heart, I knew that he would love this sentiment which I printed on my cardstock and then just stamped around it with Grunge Me. This card came out so cute! 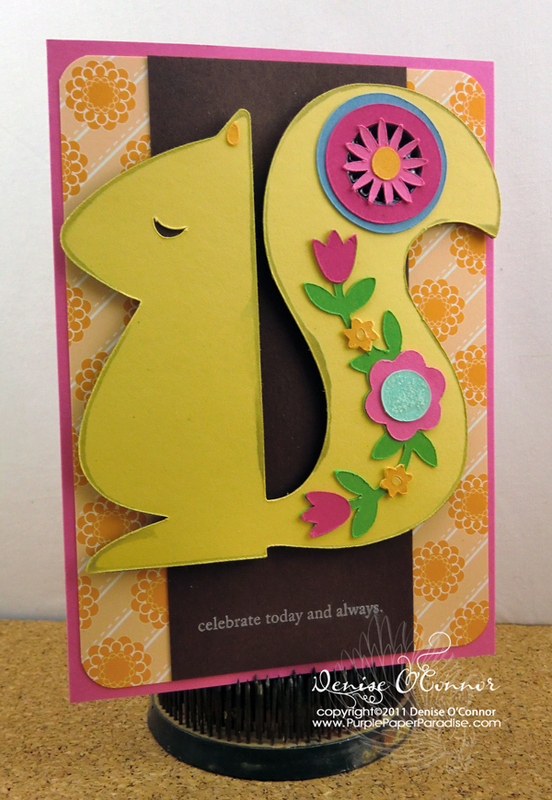 I used the Spring is Bliss SVG set from Lettering Delights to make this squirrel which reminded me of Germany. My hubby's grandmother is of German heritage so I thought that this would be perfect for her Mother's Day Card. The card is 5x7 and I used all Papertrey Ink cardstocks (colors are: Hibiscus Burst, Harvest Gold, Dark Chocolate, New Leaf, Summer Sunrise, Aqua Mist, Blueberry Sky, Raspberry Fizz). 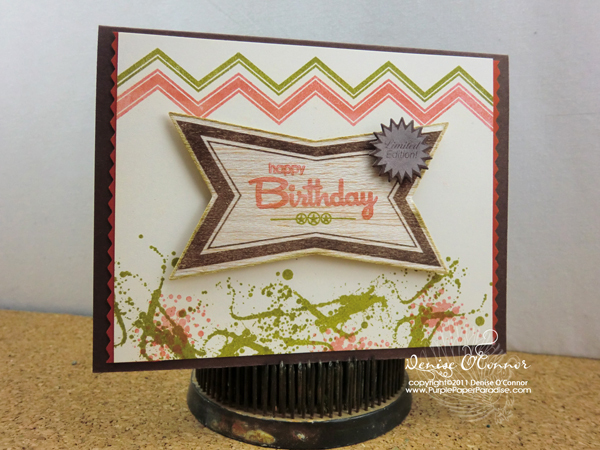 The patterned paper is from Papertrey Ink Color Couture and the sentiment is from the Mat Stack 2 collection. So much has been going on around here! As some of you may know, my husband and his brother run a company that is owned by my father-in law. Their Office Manager is going through a very difficult time right now with some health issues, and since I worked in the business before having kids, I have been filling in. This has been a huge struggle especially since I have one child in school and one not in school. Trying to arrange for getting my son to and from school and then getting people that can watch my youngest while I am in the office is just crazy right now! Needless to say, I have not had much time for crafting lately, but every few days I just NEED to create something. It keeps me sane in the midst of all the chaos. So, I do have a few cards to share with you and this one is the one that I made for my mom for Mother's Day. As you may know, my mom is a quilter, so I just had to use Papertrey Ink's Button Boutique stamp set. 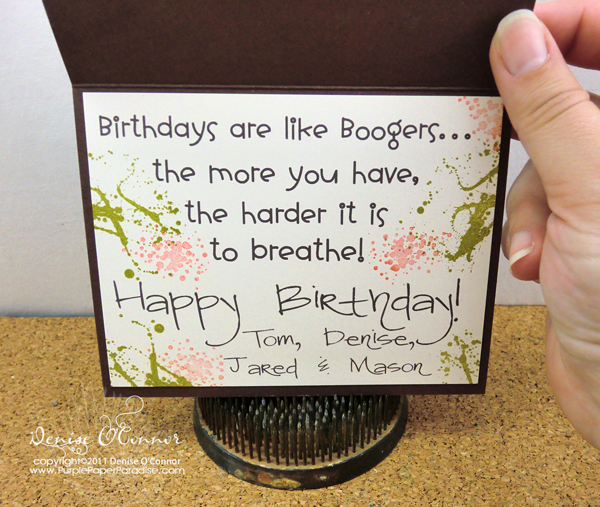 For this card, I decided to use 3 neutral colors (Dark Chocolate, Kraft and Vintage Cream) and then one bold color (Hawaiian Shores). I also used a previous card as a template for this one, you can see the original on THIS post. This card is sized at 5"x7" and I used the Woodgrain Impression plate to create the texture on the Kraft panel down the middle. Next I used some cork and the Mat Stack 5 die to cut that out. I also added some other die cuts with a Fillable Frames on top and used the coordinating stamps to make the frame and the sentiment. Next I took a thin piece of Balsa wood that I got at Michaels and die cut the button card and then stamped the header and the price strip on the side right on the wood. Looks amazing! I just love how this all came out! 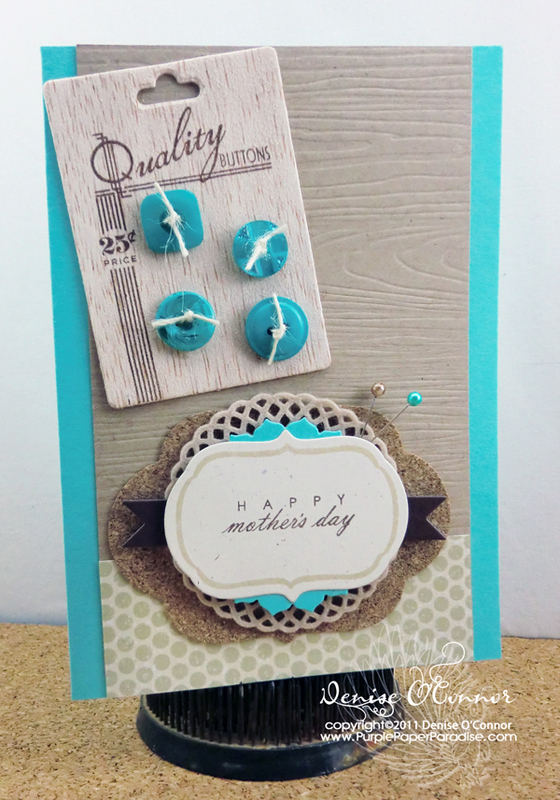 I will be back soon to show you two more Mother's Day cards that I made for my MIL and my husband's sweet grandmother!